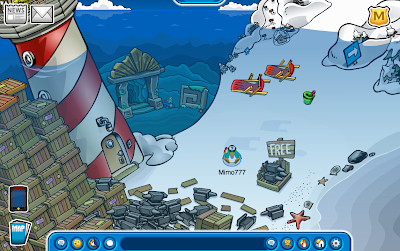 Club Penguin Cheats by Mimo777 Club Penguin Cheats by Mimo777: Club Penguin Underwater Expedition CHEATS And FREE Items Are Here! Club Penguin Underwater Expedition CHEATS And FREE Items Are Here! The first ever Club Penguin Underwater Expedition is here! And we have all the cheats! Woot! The Beach is under water! Then, go clean up the trash at the Dock and get a FREE background! 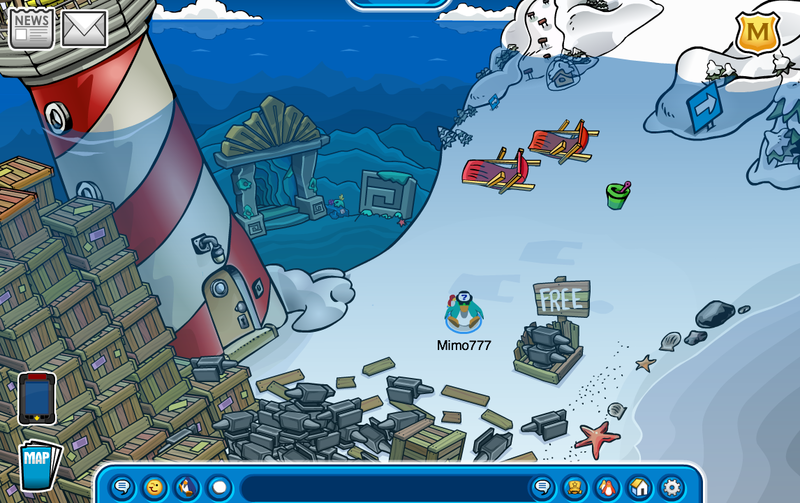 If you click on the anvils at the Beach, you can float them away with balloons. 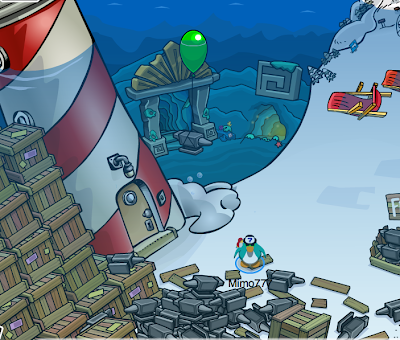 Still kinda strange to me that anvils heavy enough to sink an island can float in water and with balloons! 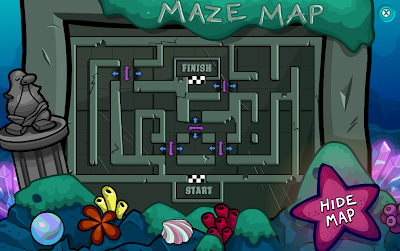 If the map doesn't help, here are the maze cheats! 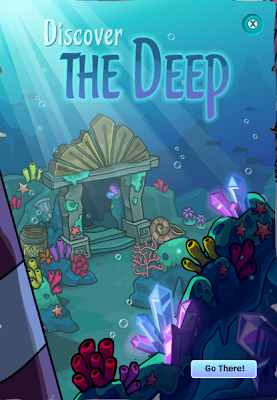 You can go into the Mysterious Deep! 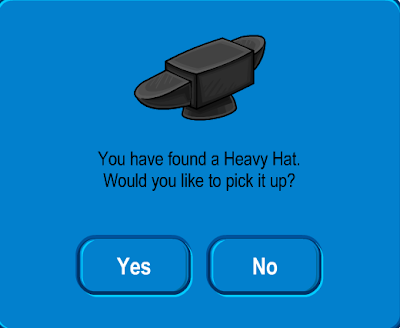 And, get another FREE item... 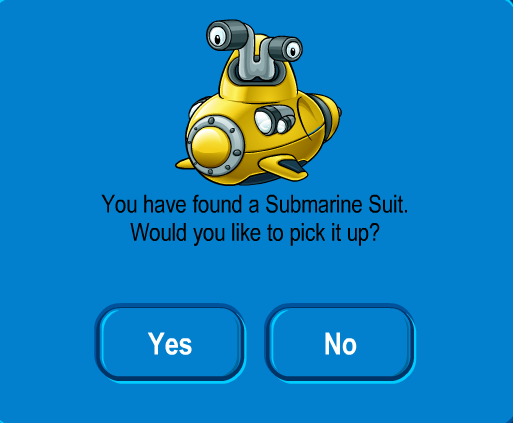 Submarine Suit! 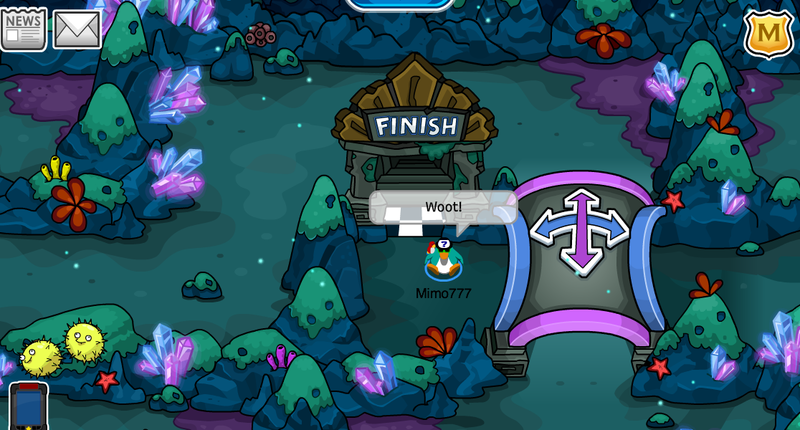 Whoo too! Once you have unlocked the Mysterious Deep, you don't have to do the maze every time you want to return! Sweet! Oh yeah, and remember Rookie is the one responsible for all this? Well, let's go find him and get his new background! This party is so cool, isn't it? Well, I guess it is... if you are a member. Not too much for non mems is there? Do you have a fav part of the party? woot! awesome and most importantly, thanks for the map! 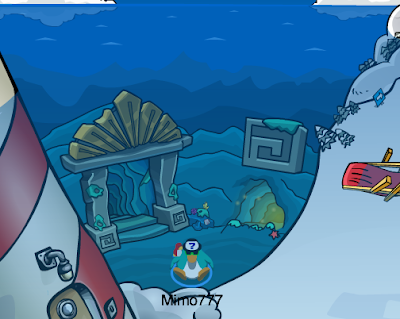 Hey I found a glitch!!!!! 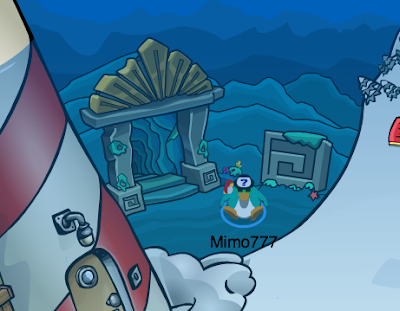 When I looked at myself, I was a full member (which I am) but then I looked at a nonmember and he had a full membership. I've tried this with a ton of different people, I even checked my second nonmember account and it showed he was a full member! Plz give me credit and I PROMISE this is real. 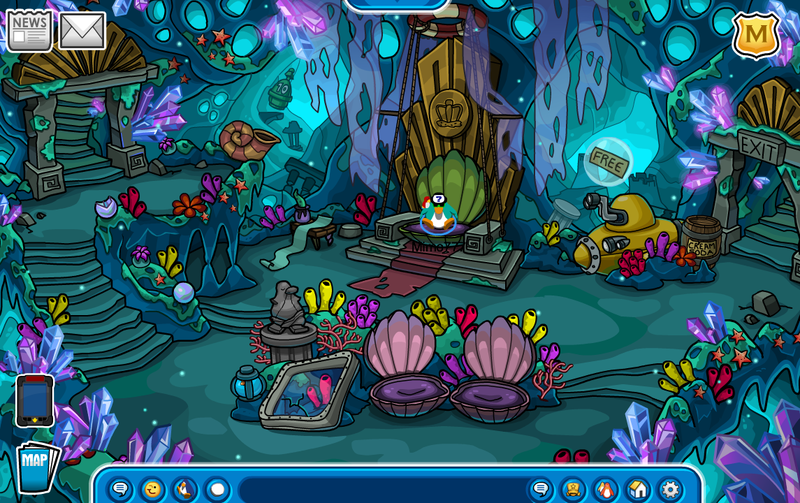 Have you noticed the crabs walking around in the backround in the room where you get the submarine? I added him and got his background- woop woop. Sorry but, this is a really old glitch, which mimo has already posted about. Thanks for letting me post it,Mimo.Sorry for the mistakes in the message.I was in a hurry.You have my respect. 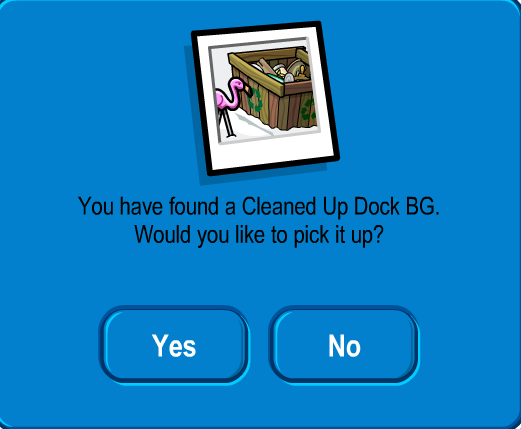 Hey everybody I thought that glitch was new. Thnx everybody who told me about how that wasn't real. Srry!!! I like to have music at the parties, but there's only music in the throne room - and the free anvil hat is sort of strange. I met Rookie, but couldn't get the background. 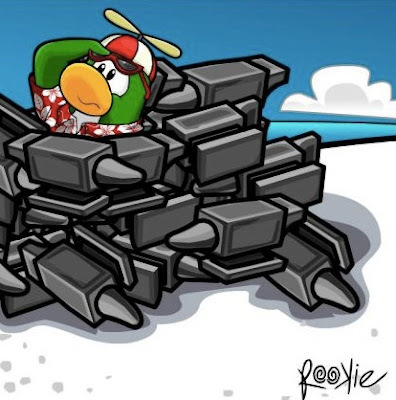 There were too many penguins around him to click on him. I miss the penguins in the room list they used to have, you could click that to see the player card before. I MET MET ROOKIE ON COLD SNAP THE SERVER AT 9:00! i KNEW that there was SOME kind of game going on.... i wonder if they will make this a yearly party...? ♫ We all live in a yellow submarine, yellow submarine, yellow submarine ♫ :D I'm sure Club Penguin made the submarine yellow because of this song. 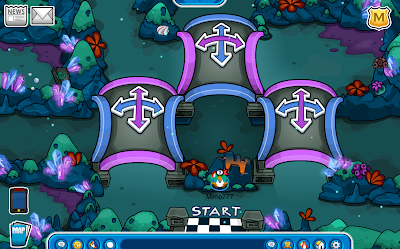 @Anonymous Before you enter the maze, there is a banner or something beside it you can click to show the map, either hide it.